Fox 8 points out in their investigation that North Carolina rejects funding that would put children permanently with relatives instead of in foster homes. Grandparents who are able and willing to care for their grandchildren, for example, are routinely rejected by the State. Why? Melissa Painter of Fox 8 points out that in North Carolina more than 10,000 children are in foster care under the care of the State. This brings in more than $198 million of funding to take care of these children. Federal laws actually require States to give preference to placing children with relatives. There is even federal funding available to place the children with relatives in "permanent legal guardianships." But North Carolina (and many other states) do not follow this practice, because children put up for adoption bring in more federal funding. Instead of giving federal funds that can be designated for relatives in guardianships, they keep the funds for themselves to administer the foster care and adoption system. In short, a child put into the foster care system on the path to adoption, brings in more money to the State, and employs more people to "administer" these children. Almost never in child's best interest: Wow, Can this be quantified? Also how much is fraud involved in these cases of abduction by the state? Over a $trillion/yr via Federal Grants and Title IV goes into the Federally defined "local community" (i.e. those who benefit from the Federal incentives and it is not the people). Is there any report that shows the actual ROI (return on Investment) in the authentic local community (vs. the Govt defined one)? It is my understanding after many years of research that the actual ROI to the authentic local community is deep corruption, more DV, more child abuse, etc. The only real answer is to truly stop the the $trillion drain from the Federal slush fund through the state to the govt defined 'Local Community'. This is a nation wide 'semi-secret' epidemic that is probably our #1 problem bar none. @gramma said: > Admin said: > > Fox 8 points out in their investigation that North Carolina rejects funding that would put children permanently with relatives instead of in foster homes. Grandparents who are able and willing to care for their grandchildren, for example, are routinely rejected by the State. > > > > Why? > > > > Melissa Painter of Fox 8 points out that in North Carolina more than 10,000 children are in foster care under the care of the State. This brings in more than $198 million of funding to take care of these children. > > > > Federal laws actually require States to give preference to placing children with relatives. There is even federal funding available to place the children with relatives in "permanent legal guardianships." But North Carolina (and many other states) do not follow this practice, because children put up for adoption bring in more federal funding. Instead of giving federal funds that can be designated for relatives in guardianships, they keep the funds for themselves to administer the foster care and adoption system. > > > > In short, a child put into the foster care system on the path to adoption, brings in more money to the State, and employs more people to "administer" these children. > > Newport WA. What a nightmare. CPS filed false allegations of neglect against my son and the mother of my grandchildren. I got approved for placement because rumor was they were going to take the kids. Well, when they got my 4 grandchildren, they put them in foster care.....After telling me I would get the kids. Because I'm asking to many questions and complaining to there higher up management, they don't think I'm going to follow there rules. So, they think the best interest of my grandchildren is with strangers. I could spit nails I'm so mad at this CPS worker, Kathy Bennett and her sidekicks. They haven't been able to prove any neglect, yet it is still going on. My poor grandbabies are probably scared so bad not knowing why they can't go home. Something needs to be done. This is so wrong..... I'm in ky and they refused me. The Gal attorney said he was a foster child and my grandson better off with foster family. Judge said I don't think you want him anyway. I am denied. Funny thing is social services wanted me to have him. Yep corruption. Also a friend of mine is a school bus driver and she was denied. She couldn't be a bus driver with a bad record. This is a sick system and it's happening all over the United States. So they "hunt" as predators seeking their paychecks, i mean victims. you are right. Cps is a corrupt fake news agency that worships the devil, just as simple as that! We need exposure of the corruption in New Jersey BADLY !!?! We have so many cases of CPS taking children from families and preventing other member from adopting in Michigan, I would love for someone to contact me. I have several detailed cases including myself being an aunt to a child in foster care. I am completely being avoided since the foster parents are wanting to adopt. if CPS/Family & Children services around the states has been exposed & proven to kidnap children &/or not place with family cause of government money.... Our children are worth more then money !!!!! How can it be stopped ??? It needs to be a true emergency before a child is removed from the home !!!!! A report needs to be conducted regarding the Department of Health and Human Services (DHHS) allocation of $160,000,000,000 (billion) in annual revenue to North Carolina for their suite of programs (i.e. : biggest contributions Child Protective Services [CPS], Department of Social Services [DSS], Office of Child Support Enforcement [OCSE], Health Department, Disabilities, Aging, Bureau of Indian Affairs, etc. there are other "incidentals"). The State of North Carolina Budget is only $58,000,000,000 (billion). Legislature is looking at the Foster Care Program as the premise for Family Court is that "complicated" custody battles move ever-increasingly toward Foster Care and don't necessarily represent best interests of the child. Either the highest paid attorney, highest paying participant (parent), or highest paying incentive. Family Court earns in excess of $10K a month to keep a case open; yet, staff hardly comprehend their salary is paid through Family Court revenue and should be happy to see a parent each month - it means they are continuing to earn dollars. How can a state, any state, in the United States thwart the funding DHHS will provide (and the Fed is well-intended) in funding these matters? The Fed presumes DSS / CPS will award to family members (but are duped in reports and statistics). This is why the state legislature is investigating a NEW BILL is being developed NOW for Foster Care Reform but DSS / CPS do not know this yet as it isn't released and is just being prepared by legislature. The Senators are upset by this injustice. My name is Cecelia I have a daughter who lives in Sparta, NC; and she has a problem in getting her child back from CPS. She and her boyfriend did everything they want her to do but, refused to give her back. I am very angry that CPS can lie on the stand. My daughter is a good mother, her daughter gets three meals a day plus snacks, has a place to live and kept clean. Both parents are working and also she gets a lot of love and attention. I think they need to send an investigator down there. It seems that the person who called on her lied and it is actually her who is abusing her kids. I hope San Bernardino County gets investigated too. How can this be happening to our children?? This is horrific. My grandson was recently removed from his home with no actual evidence. We are going to hire a lawyer, even though CPS is saying they are helping us but just doesn't make sense, as to why he was removed. im so scared for my 2yr grandson. Im praying and know God is on our side but still its so unbelievable this happens in California and seems as we grandparents have no rights to help our grandchildren. An infamous ‘Organised Ritualised Crime Abuse Networks’ (ORCAN) was seemingly behind the collapse of the Franklin building society and an alleged child abuse ring. Many authority representatives were implicated but everything got covered up. Four key witnesses/survivors provided extensive statements – however one ended up in prison on ‘trumped up’ charges of ‘perjury’ while another, who under persecution duress had recanted his testimonial, was found dead a few years later in a Psychiatric facility in highly irregular circumstances. The ‘Discourse of Disbelief’ proffered by vested interests continues to lull society into a belief that these kind of groups do not exist. I have been trying for 4 years to get a particularly chilling crime series in the UK investigated where a mother who escaped from an intergenerational abuse family was ‘set up’ by police to lose custody of her child – through a brazen, blatant and brutal ‘Child Smuggling’ where more than three dozen authority representatives in Police, Child Protection and Family Court systems ‘looked away’. Slide 54 reproduces the mother’s disclosure that a Metropolitan Police officer coerced her into delaying police reporting of any sexual assault on her child by several weeks. ‘False Flag’ operations of this style - ostensibly designed to ‘catch Mr Big’ - actually shield the perpetrators. ‘These Underworld families do criminal favors for the NWO Globalists including harassments, gang-stalking, shakedowns, blackmail and even murders and in exchange receive protection from American Law Enforcement (FBI, State Police and Local Police and Sheriffs, who are all told to stand down. The reasons given for these stand-downs are that it is part of an undercover sting to get Mr. Big or necessary under “National Security” and cannot be discussed. How do we get someone to Investigate the state of Iowa? Exactly what is going on in ky. Social service said I wouldn't have any problems getting my grandson. Well the Gal attorney said in court he was a foster child and my grandson would be better off with foster family. Judge said I don't think you want him anyway I am denied. I am in court of appeals now awaiting if the judge did the right thing. The system is not for families it admitted in court they are not when the Gal attorney said what he did and judge just agreeing and social service was actually for me. I was shocked. I'm not the only one. A school bus driver for kids is also denied cause her son might come around. Wow lame excuse she is a school bus driver she wouldn't lose her job and let any grandkids get hurt. Sick twisted system. @gramma said: > Admin said: > > Fox 8 points out in their investigation that North Carolina rejects funding that would put children permanently with relatives instead of in foster homes. Grandparents who are able and willing to care for their grandchildren, for example, are routinely rejected by the State. > > > > Why? 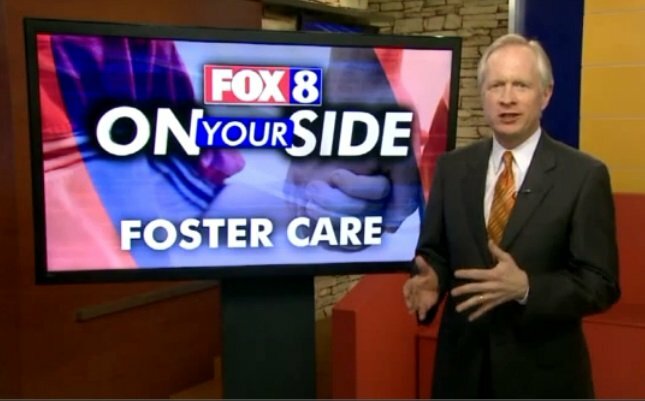 > > > > Melissa Painter of Fox 8 points out that in North Carolina more than 10,000 children are in foster care under the care of the State. This brings in more than $198 million of funding to take care of these children. > > > > Federal laws actually require States to give preference to placing children with relatives. There is even federal funding available to place the children with relatives in "permanent legal guardianships." But North Carolina (and many other states) do not follow this practice, because children put up for adoption bring in more federal funding. Instead of giving federal funds that can be designated for relatives in guardianships, they keep the funds for themselves to administer the foster care and adoption system. > > > > In short, a child put into the foster care system on the path to adoption, brings in more money to the State, and employs more people to "administer" these children. > > Newport WA. What a nightmare. CPS filed false allegations of neglect against my son and the mother of my grandchildren. I got approved for placement because rumor was they were going to take the kids. Well, when they got my 4 grandchildren, they put them in foster care.....After telling me I would get the kids. Because I'm asking to many questions and complaining to there higher up management, they don't think I'm going to follow there rules. So, they think the best interest of my grandchildren is with strangers. I could spit nails I'm so mad at this CPS worker, Kathy Bennett and her sidekicks. They haven't been able to prove any neglect, yet it is still going on. My poor grandbabies are probably scared so bad not knowing why they can't go home. Something needs to be done. This is so wrong..... 3 of my grandkids were kidnapped by cps in Michigan it's all about money foster kid's are a money maker for the state I was able to get one grandchild away from the state after almost 4 years by then the mental damage was already done the cps workers want to make sure they have job's and the state wants the money!!! This doesn't make sense. In Va they believe in keeping the family together. If children have to be taken they don't separate the children and try to place them with viable family members before fostering them. I have had custody of my grandkids for a year and a half now. They have 2different fathers so they have alot of family that should be able to care for them but once a background investigation was done the ONLY ones able to get the kids were my youngest daughter and my husband and myself. To put the kids in foster care would COST the state. We don't get any help for taking in our grandkids so to say CPS or the state makes money for fostering kids is nonsense. Kids are taken from families not just for physical abuse but for neglect, psychological abuse and from parents who are addicts or raise their kids in nasty homes. People don't just get their kids taken without reason. I raised 3 kids and my 2daughters didn't like my rules concerning boyfriends and chores so they both at separate times called CPS with bogus complaints hoping they could get taken away and live freely in some foster home. Cps came and investigated, found nothing and went on about their business. So, complaining that CPS kidnaps kids or takes them for no reason is unfounded. Take responsibility for your actions and do what is right to get and keep your kids. Every kid deserves to live in a clean, loving, attentive and safe home.